The Australian Taxation Office (ATO) operates a scheme that provides for the deferral of GST on imported goods. The Deferred GST Scheme covers GST only & it does not impact upon the Customs duty, which must be paid at the time of importation. The Deferral of GST on imported goods extends to all importations that are entered for home consumption, either at the time of importation (Customs Nature 10 entries) or from a Licensed Customs Warehouse (Customs Nature 30 entries). The scheme also covers Post Warrant Amendment entries where additional GST is payable (eg Nature 11 and 31 entries). Goods imported temporarily under Customs Act s162 or s162A. Owners must be registered for GST and must apply to the ATO for approval to participate in the Deferred GST Scheme. Owners not admitted to the scheme will be required to pay GST and duty at the time the goods are entered for home consumption or otherwise dealt with under the Customs Act 1901. Owners may apply to participate in the Deferred GST Scheme if they elect to or are required to lodge their Business Activity Statements (BAS) monthly. Owners may apply to participate in the Deferred GST Scheme if they lodge their BAS via the Internet-based, e-commerce system operated by the ATO. Owners can deal electronically with Customs either directly, or through a licensed Customs Broker. The Customs computer system does not permit deferral on entries that are lodged manually. Payments of GST on Informal Clearance Documents and debit notes cannot be deferred. It is a condition of the GST deferral scheme that owners must deal with Customs electronically. This condition is contained in regulation 33-15.06 of A New Tax System (Goods and Services Tax) Regulations 1999 and it is also stated in Australian Customs Notice 2000/14. Owners must either use the services of a licensed Customs brokers or arrange to connect to Customs computer system. To make arrangements for the connection you are advised to contact the Customs Systems Support Centre on 1300 558 099. As a general principle, owners wishing to participate in the Deferred GST Scheme must not have any debt or returns outstanding with the ATO. no longer meet the eligibility criteria on an ongoing basis. they obtain a bank guarantee in respect of any future liability for GST on imported goods. When goods are entered for home consumption, ("home consumption" means that the goods enter into the commerce of Australia) the owner is required to quote their Australian Business Number (ABN) to Customs. If the owner has been approved to defer payment of GST, the imported goods can be released after payment of any customs duty or other charges. Customs records the GST liability of each shipment as it is finalised. At the end of the month Customs advises the ATO of the aggregated liability for each owner. The ATO includes on the next BAS the total amount of GST that was deferred during the previous month. The ATO then issues the BAS to the owner via the Internet. An application form for approval to defer GST on imported goods is available on the Australian Taxation Office website. Owners can apply to participate on-line at www.ato.gov.au. How does the Customs' computer system handle the deferral of GST? If an entity has an ABN approved for deferral, the COMPILE system defers ALL GST payable on an entry automatically. The Customs computer system calculates the amount of GST to be deferred and this appears on the marks screen of the entry and the entry print. You are not able to elect to defer GST on specific entries. If you are approved to defer, then GST is deferred on all lines for every entry. Customs Duty is not deferred; it is payable prior to the goods being delivered into home consumption. The total amount of GST that has been deferred for an ABN is aggregated by Customs and passed to the ATO at the end of each month. Which entries are captured in the deferred GST amount passed to the ATO at the end of each month? Entries for home consumption (ie. Natures 10 and 30) that were finalised* during the month. Post warrant amendment entries (these correct errors on earlier entries for home consumption) that were finalised* during the month (provided that GST was deferred on the original entry). 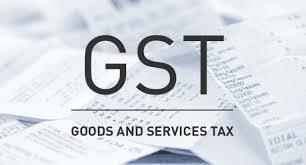 Please note that, where a post warrant amendment entry reduces the amount of GST deferred, this deferral reduction will be reflected in your Business Activity Statement only if the PWA amends an entry that was finalised* in that same month. * Entries are finalised when customs releases the goods. Note that this may be different from the date that funds were debited against the owners bank account for duty and/or other charges.